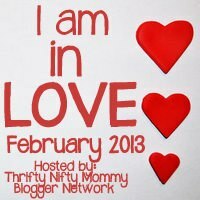 It's Day 3 of the I Am In Love Event! Since I have become a mom, I can honestly admit I have spent more time thinking about the chemicals we are exposing ourselves to that are unnecessary. One place that I recently discovered several known carcinogens are in our dryer sheets. 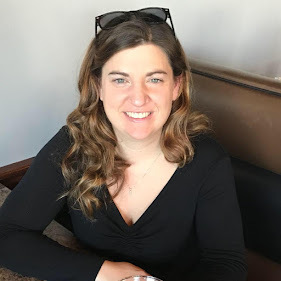 So, I started to research eco-friendly and wallet friendly alternatives and that's when I discovered Woolzies! 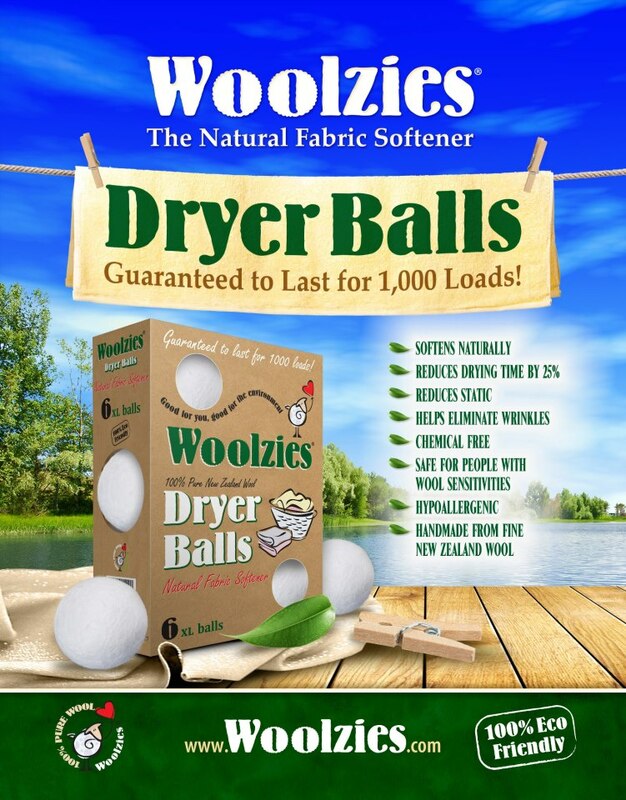 Woolzies are 100% Pure Wool Natural Laundry Softener. Upon opening the box, the Woolzies were soft and cuddly! They are a little smaller than a grapefruit. 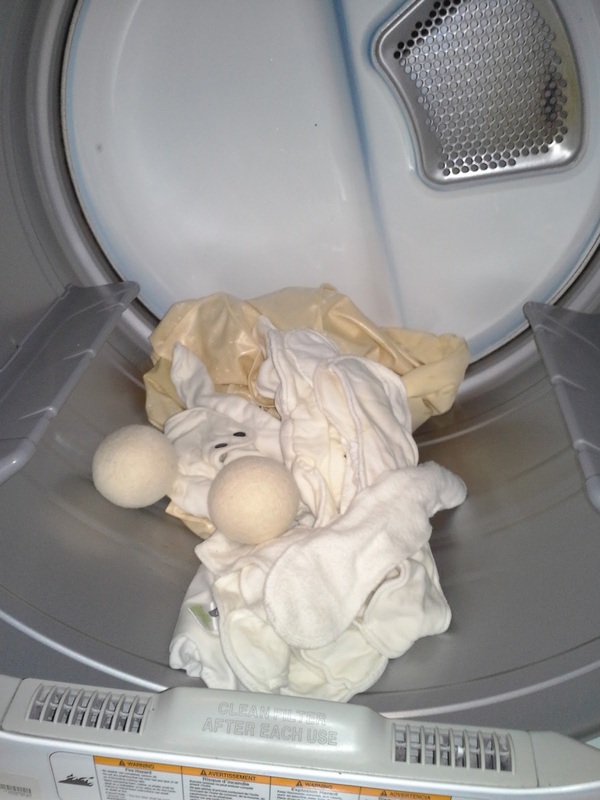 I couldn't wait to try them, so I threw them into the dryer immediately with a freshly washed load of clothes. I then set the dryer to the normal settings and started it. Yes, it is just that easy! Normally the dryer goes for about 50-60 minutes, but I noticed that with the Woolzies in there, it was easily cut down to 40 minutes, if not less. 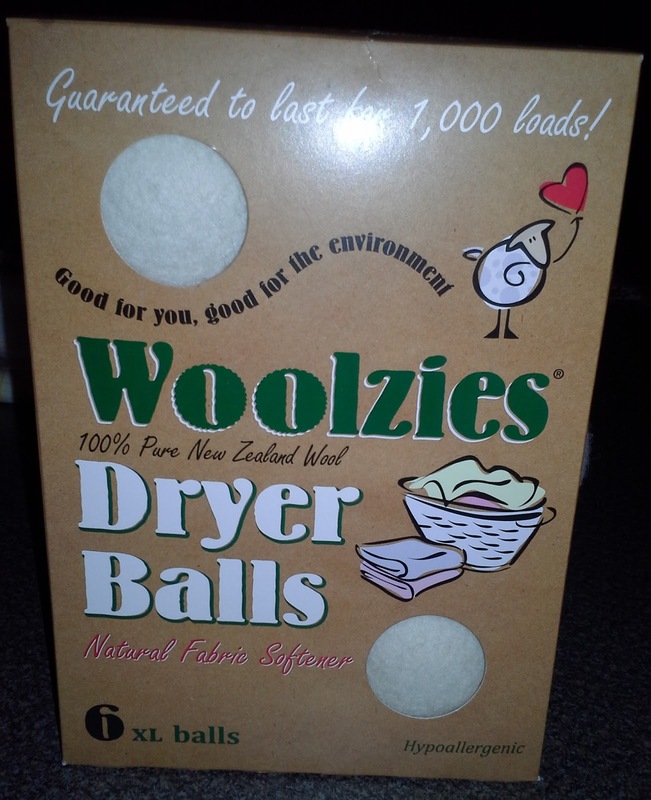 I know one of the big questions I thought when I first saw Woolzies was whether or not they would make a lot of noise in the dryer and to be honest I really didn't notice. As you may know, some people throw clean tennis balls into the dryer to reduce drying time and fluff their clothes, but they are really loud, full of chemicals, and can damage your dryer. Woolzies are just the opposite! They were very quiet, chemical free, and very light and soft, which means they aren't hard on the inside components of your dryer. I have been using the Woolzies for a month now and I love them! They are great for every load of laundry and are even cloth diaper friendly! I have noticed a dramatic drop in my drying time, especially in smaller loads, as they keep the clothes fluffed and separated during the cycle. The one thing I did notice is that there was a little bit more static, but that was easily remedied by adding a ball of aluminum foil to the loads, a suggestion provided by the Woolzies instructions. I can honestly say I love these and will not be going back to dryer sheets EVER! Learn More: Visit the Woolzies site to learn more about this product and it's benefits! Shop: You can purchase your very own Woolzies online and they even offer free shipping to the U.S.! Win: Soft By Nature, Inc. is generously offering you the chance to win a set of Woolzies! Enter using the form below! Hypoallergenic, for my sensitive little girl, that is awesome! I might have to get some soap berries in the near future! I have too many eco friendly products to count! But we cloth diaper, use cabinet items like vinegar and baking soda to clean with instead of harsh chemicals. I use a natural, ecofriendly, laundry soap as well. I love how soap berries only has to be used 1x every 4-6 loads. 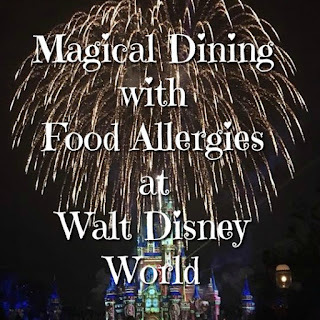 I like that they are help reduce fading and are a natural odor neutralizer. Our cloth diapers are eco friendly! And I just got fabric to make unpaper towels and napkins. cut down on drying time. we use green works cleaner, love that stuff! I really like that SoapBerries is also a natural fabric softener. We use only cloth diapers and either cloth wipes or chemical free disposable wipes. I LOVE that it cuts down drying time! No chemical residues, dyes or fragrances. I have Multiple Chemical Sensitivity, so ALL of the products in our home are eco-friendly. I like that they can stay in the dryer for 1000 loads and will cut drying time! Other products are cloth diapers! I just made the switch 3 weeks ago! You just throw the packet in the wash, each can wash 4-6 loads! I have recently started making my own cleansers and getting rid of all the 'chemicals' under my sink! I have all the disinfectant power of bleach, but these are safer and smell so much better! No more harsh chemicals going to water treatment because of me! I like that the soap berries is a natural fabric softner, thanks for this giveaway..!! No fossil fuel, air or water pollution is emitted during processing. This is absolutely awesome - you are leading the way! I make my own dryer sheets now!!! I am planning on making my own dishwasher detergent later in the week. Each box good for 120 plus washes! My most recent eco-friendly switches were my deodorant (I finally found a healthy solution that actually works!) and all purpose cleaner- just vinegar and water with some essential oil. Works great! Natural soap sounds wonderful! I also like that it's pet friendly. We use Charlie's soap -ecofriendly and great! I love that they are "green" and clean well! I love that I don't have to use dryer sheets, and they speed up drying time! that there is no air or water pollution emitted with use. We use cloth diapers and steel water bottles to be eco-friendly. I like that you can use each Soapberries packet 4-6 times!! Most of my cleaning products are eco-friendly! I mainly just use vinegar and baking soda to clean. I have wanted to try soap nuts, and this looks like a convenient way to do it. I like that each box has over 120 washes and they are a natural odor reducer as well. It is all natural and Dye sparing on fabrics. It can be used from 4-6 uses!!! I like that there are no chemical residues. I love that Soap Berries are pet friendly! I love that it is 100% natural and soften fabrics AND removes odors!! Love that they're cloth friendly, but even better that you can use multiple times! I like that it is Green processing, 100% biodegradable, & 100% bio-compostable.